By @SimonCocking. 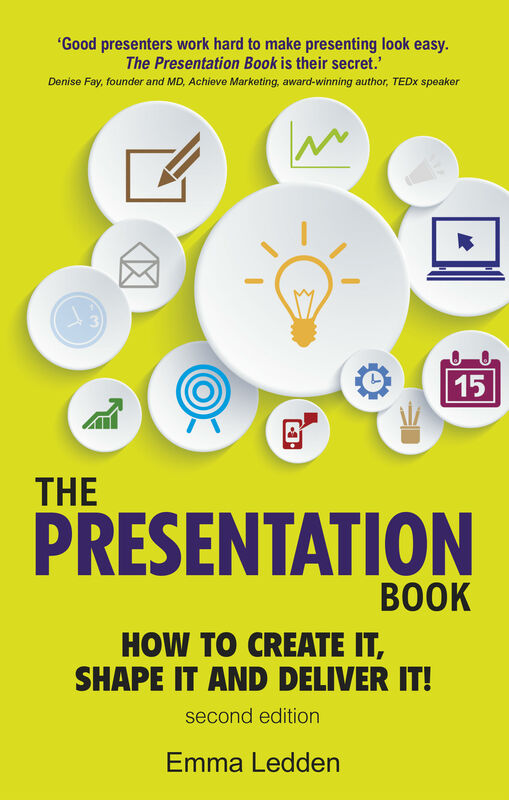 The Presentation book by Emma Ledden, reviewed. Available from Amazon here. No matter how many times you have given a talk, you should always be thinking about what you can do to improve your delivery and performance. Whether you are someone who gives talks, MCs events, keynotes and moderates panels or a complete novice this is still an important and enjoyable book. This book starts out by helping those who are completely petrified of even speaking in front of other people. It then also deals with those who think they can wing it, but are actually not nearly as good as they might think they are. Ledden also makes the astute point, that just because others make may it seem like their talk was off the cuff and unrehearsed, the reality is probably very different. In this way I found the book an enjoyable read. It has a lot of help for newbies in how to speak well in front of others. Then for those of us who have been doing it for a long time it still makes you reflect on what you might have done better. It’s a short book but packed with good insights and tips for all of us to improve our communication skills. Living here in Ireland too it is an interesting place, as many are very able to discuss everything under the sun in a relaxed environment, but put many of them in front of an audience and you’d be amazed the reasons you’ll hear for why someone else might be better suited to deliver the talk. A book like this might help to reduce some of these anxieties.